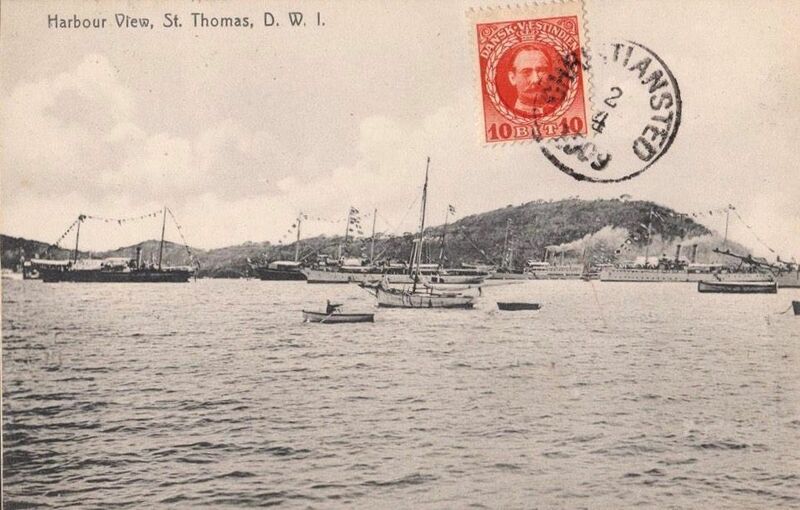 This postcard captured one of the most joyous celebrations in the island’s history! Don’t let the date of the postal stamp fool you. The actual year was 1903. 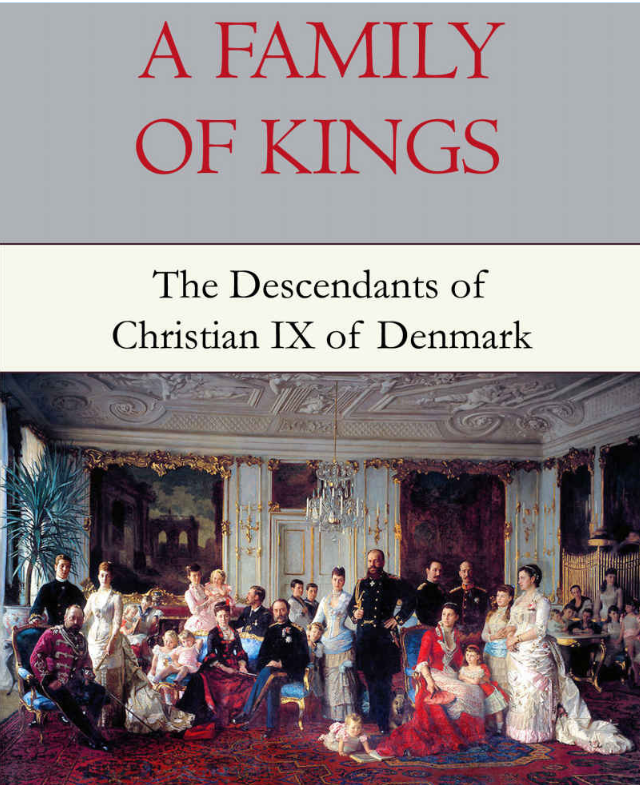 It marked the 40th anniversary of King Christian IX’s reign on the Danish throne. Huge parades, fireworks, official ceremonies and cannon blasts celebrated this grand event! In the harbor on the right is the SMS Panther, trimmed with bunting flags for the festive occasion.